I've been into photography since I was a teenager. My preferred subject matter may have changed over the years, but I never stopped taking pictures. In recent years most of my photography has been focused on gardens and plants--both my own and those of others. This blog has allowed me to share my discoveries, and I've been thrilled by the many positive comments readers have left. I'm often asked for advice on how to take photographs, which I'm glad to give. Every now and then somebody says I should write a how-to book. My response typically is that I don't have time (true enough), but in reality I would have no clue how to approach such a book. The "what" is the easy part compared to the "how!" Fortunately, I don't have to worry about that anymore. Why? 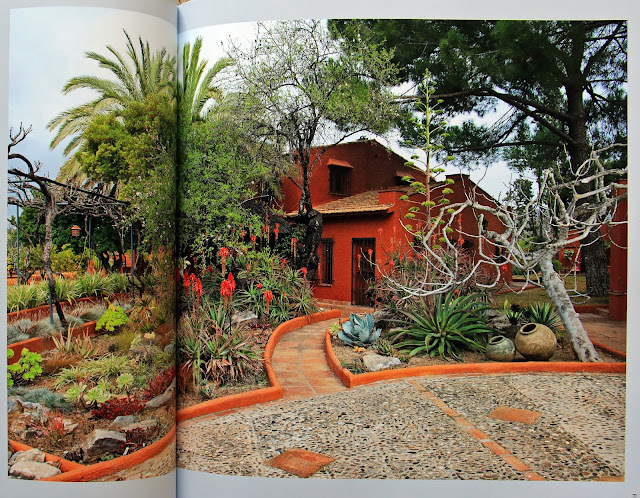 Timber Press has just published the kind of book that gardeners and garden lovers have been clamoring for. The Garden Photography Workshop: Expert Tips and Techniques for Capturing the Essence of Your Garden is a reference everybody who has a garden and wants to document it better should have. 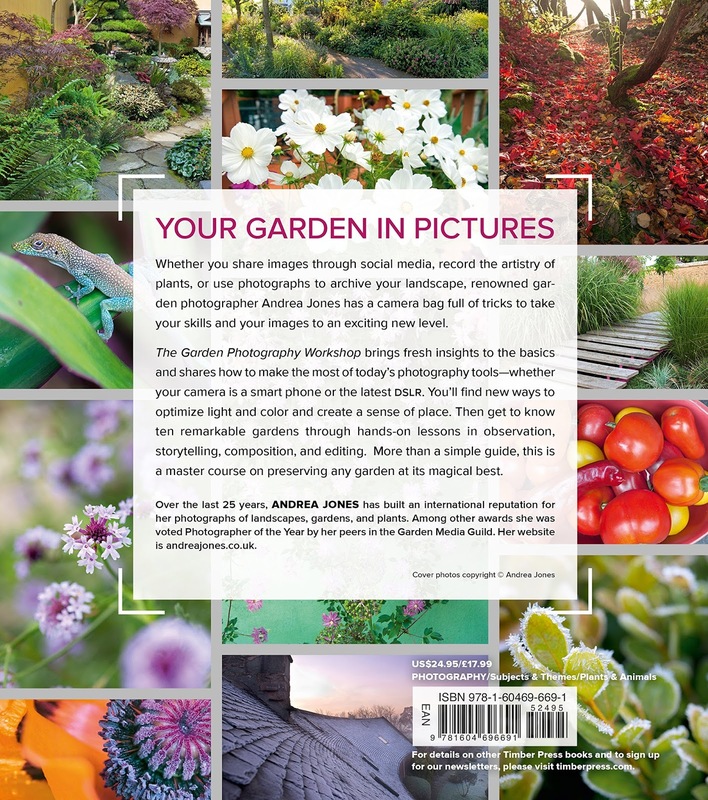 The author, Scotland-based Andrea Jones, is both a long-time gardener and a renowned garden photographer whose assignments have taken her around the world. The approach she chose for this book is ingenious: She takes us to 10 gardens in places like Spain, Ireland, Scotland, England, Washington, California and even the Cayman Islands to teach by example. This brings to life subject matter that might otherwise be a bit dry--brightness, contrast, depth-of-field, etc.--and helps readers understand it better by seeing it put into practice. What I found even more valuable is seeing Andrea help the owners of the gardens we visit improve their own photography. 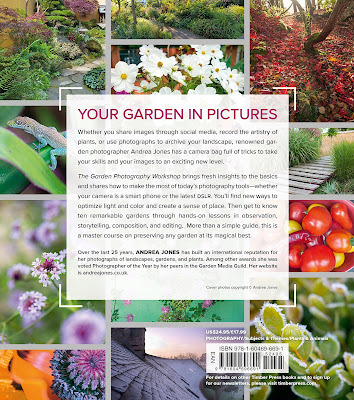 Andrea first shows us a photo taken by the garden owner together with a description of what they were trying to capture and why they didn't quite succeed. Then she demonstrates how she would photograph the same (or a very similar) scene to solve the problem. This is a brilliant teaching technique to help readers avoid common pitfalls and improve their own picture-taking skills. 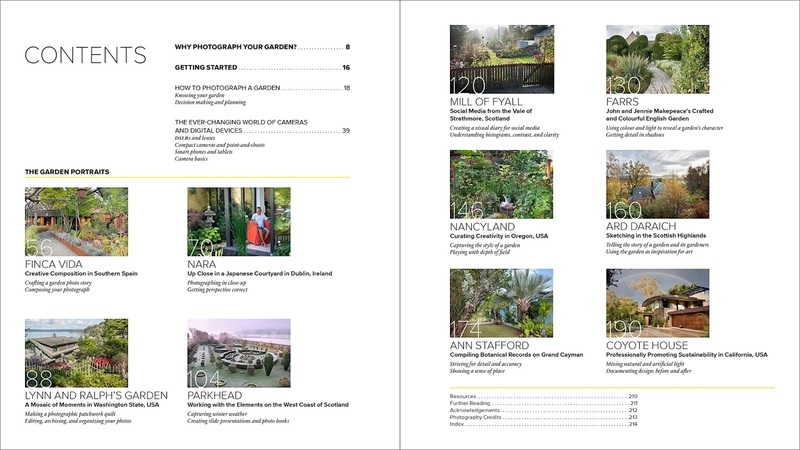 The book is rounded out by chapters on why you should photograph (and hence document) your own garden and what cameras, lenses and accessories--photographic and otherwise--you should consider investing in. A step ladder, for instance, is very useful to gain height! Even though Andrea uses professional-level gear herself, you can take great photos with just a compact camera or your smartphone. The equipment you use is not as important as the choices you make in your head before you press the shutter button. Good photos are created by you, not by your camera. 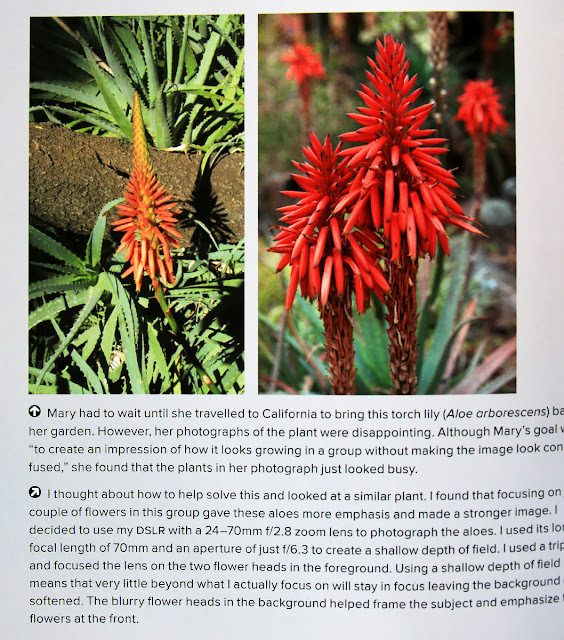 For beginning photographers, this book is a no-brainer. But even people with moderate or advanced skills can learn a thing or two--and Andrea's photos are inspiring on their own. 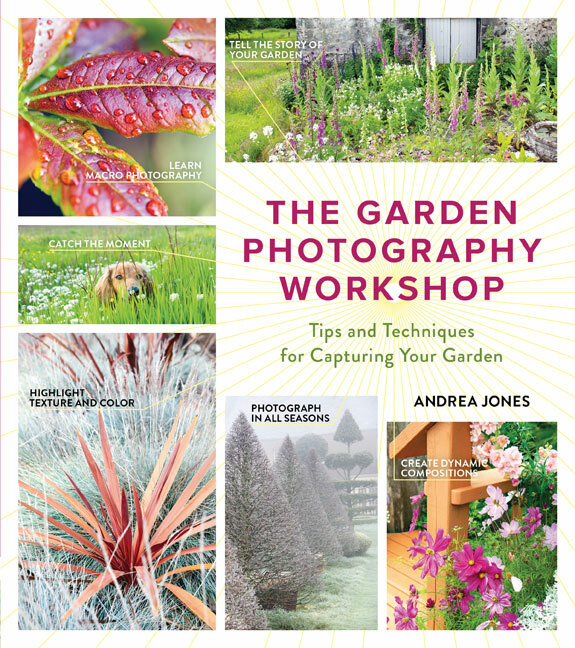 The Garden Photography Workshop was released on March 1, 2017 and is available at your favorite bookstore or online. You can also buy it from Timber Press directly. To find out more about Andrea Jones, visit her web site. Be sure to check out the Garden Designers section to see more examples of Andrea's garden photography. Normally I don't read blog book reviews, but this looks like a great book! Especially if I can use the techniques with my smart phone camera... Thanks for the tip! Virtually everything in the book is applicable to smartphones (except the stuff about filters, but there isn't much about that). Somehow I've missed this one, hmmm...looks like a good one to add to my list. What with a great Timber discount available to both HPSO and Pacific Horticulture members and a great lending library at the HPSO office I've got lots of choices! 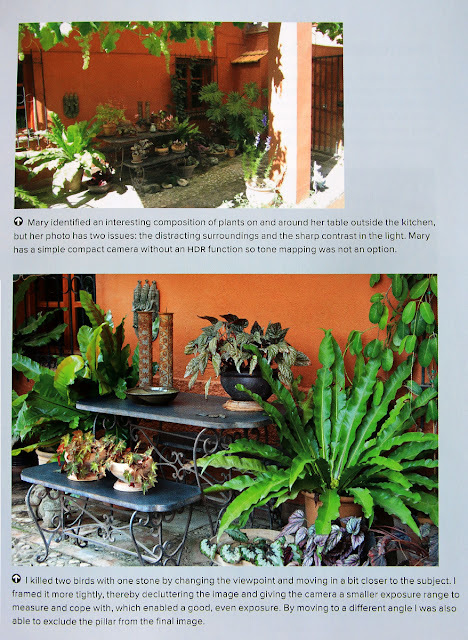 I love how Timber Press continues to expand to cover ever more aspects of gardening. I like the "help" examples -- great idea! 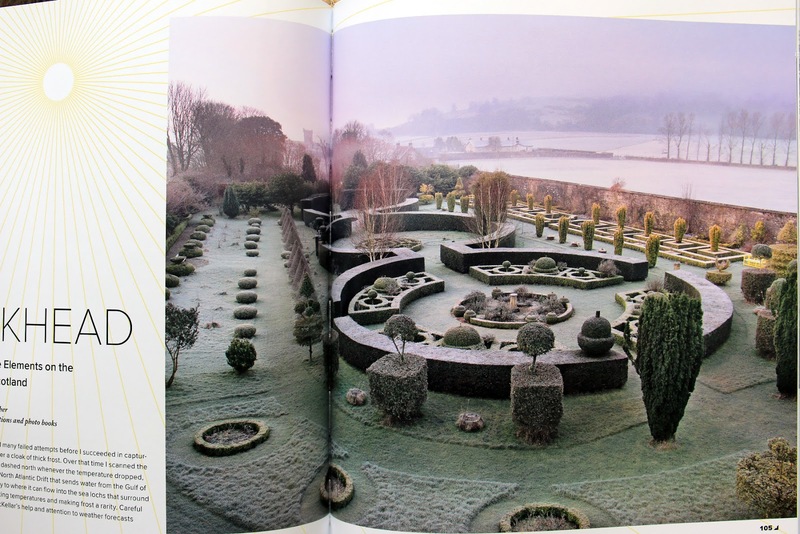 I'm curious though: isn't using world-class gardens as your subject matter cheating? 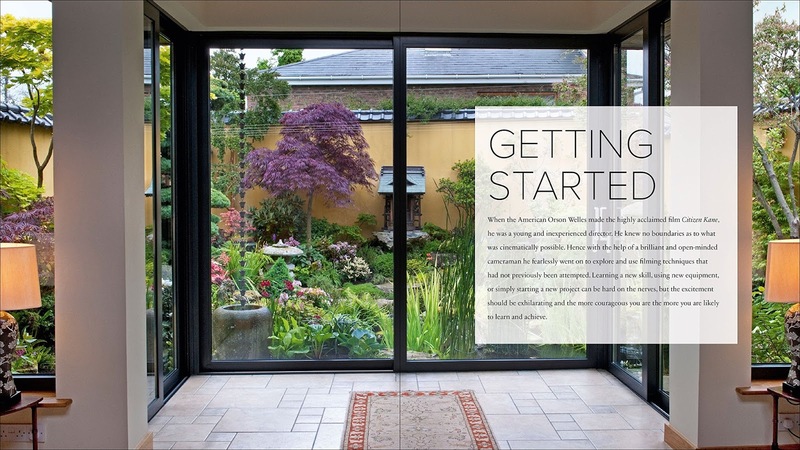 How to take great garden photos, step 1: find a gorgeous garden that looks great from every angle. Am I just feeling negative on this dreary Monday morning or is this a valid concern? I think you would wait for dreary Monday to turn into sunny Tuesday before taking your pictures. At least you have more more leeway when it comes to photographing your own garden :-). Even if all a book like this does is to get us to _think_ about the whole process, it's a big step in the right direction.